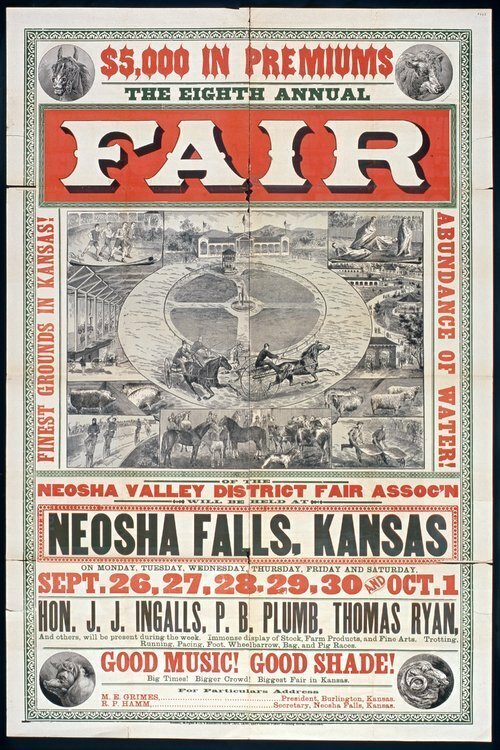 This poster is for the eighth annual fair organized by the Neosha Valley District Fair Association. There is no year given but the event takes place from September 26th to October 1st in Neosha Falls. Highlights of the fair include: appearances by politicians J. J. Ingalls and P. B. Plumb, good music and good shade. Fair Officers are M. E. Grimes, president, and R. P. Hamm, secretary.